Aldous has over 30 years business experience as a technology and software developer, project manager and mechanical engineer, including developing water and material recycling technology. He developed SOHO custom PC database software and prior to that worked with Mannesmann Demag AG a multi-national German mechanical heavy engineering company. Alison holds a Masters of Health Sciences and is passionate about the world of recycling. A former teacher, journalist and sexual health counsellor she now dedicates her skills and energies to the ReCircle Recycling concept and the circular economy, travelling between Australia and the UK to ensure ReCircle is at the forefront of industry developments, promoting awareness and raising funds. Phil has almost 20 years experience in the field of Product Design and Development working as a Mechanical Engineer and Project Manager. He worked for Hella Manufacturing as a Design Engineer then a Lead Designer developing automotive lighting solutions primarily for Jaguar and Landrover - before emigrating to Australia in 2007 and spent ten years working for Electrolux in country NSW as a senior R&D Project Manager. Gilles graduated in Business Managemnet HF at Akademie in St.Gallen, Switzerland. He began his professional career as a senior engineer at Nuga AG in Switzerland, designing the Centricut high-performance, minimal footprint range of plastic recycling cutting and grinding systems. He has over 9 years experience in the techncial development and design of high-performance plastic cutting and grinding systems. Neil has worked with and been a partner in leading Sydney law firms, a principal in a trans-Tasman corporate advisory and investment banking firm, and is now principal of his own legal practice. 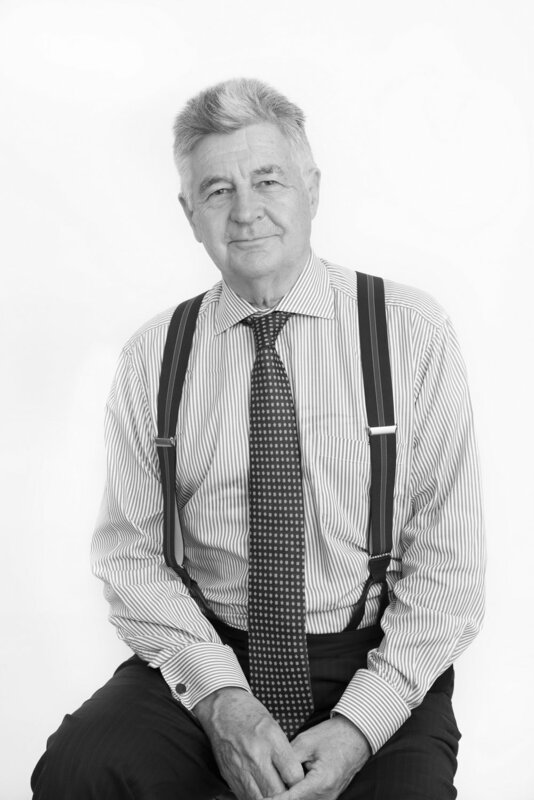 Neil is a past President of the Australia-New Zealand Business Council. Stuart has seven years experience as a social media consultant working in creative and media advertising agencies. Representative clients include Facebook, Coca-Cola, Red Bull, Volvo, Air New Zealand, ANZ Bank and GlaxoSmithKline. Originally from Sydney, Stuart’s passion for the environment is rooted in countless days spent outdoors enjoying Australia’s natural beauty. Tristan has 14 years experience working in startups and SMEs as an account and project manager, director and co-founder. He is passionate about bringing new solutions to broken systems. He has worked in niche retail, mobile technology, online hospitality, renewable energy, consumer product and edtech industries. Caroline is a content producer with experience in various industries including learning & development, fintech, and broadcast. She is a co-founder of Double Yay Productions, creating scripted comedy content for tv and online platforms. Originally from Akron, Ohio, she now lives in London. Caroline is thrilled to be part of a recycling revolution – she’s been limited to one environmental fact per day at home, so this is a good outlet. Rachel is currently a student at the University of St Andrews in Scotland studying International Relations and Psychology. Overwhelmed by waste mismanagement, waste outsourcing and environmental degradation, Rachel is dedicated to creating a system which facilitates proper and efficient recycling. Charlotte Clutterbuck is a writer, editor and teacher, living on the Central Coast of NSW. She has taught Literature and Academic Skills at several universities in Sydney and Canberra. Her special interests include experimental poetry, physics, cosmology and geology, the history of submarines in World War II, and the behaviour of birds.